This is a repost, so if you've been around for the last few years you've seen this before. I was going through my old blog pictures trying to find one of my cats and stumbled upon this. A long, long time ago, my husband and I tried one of those baby maker online programs. I've seen other couples' matches and they are generally good and provide relatively accurate matches. 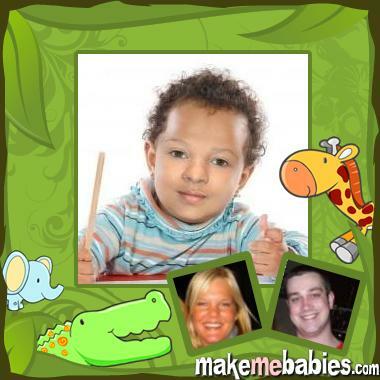 Somehow, my husband and I ended up with a black baby. It still cracks me up. At least he's cute- even if he belongs to the mail man. that baby picture is hilarious!! I will have to give that one a try too! I would have spit out my soda if that picture popped up for me! LOL! Thanks for reposting... good laugh!